From vehicle manufacturing to medical technology: Profiles, tubes, cladding, ring belts and many more components are made of rubber compounds. These mixtures are composed of optimised formulation especially for the purpose, although most laypeople would simply define them as “rubber”. As well as the basic formulation, the machine technology of the extruder is responsible for the form and in particular for the most consistent quality possible of the rubber products. While the form conforms to the tools being used, the quality effectively depends on the “inner qualities” of an extruder. The engineers working for extruder manufacturers therefore always focus on the extruder technology, in order to positively influence quality with further developments. For clarification, a cold-feed pin-type extruder should be used for this purpose. The necessary temperature conditioning of the extruder screw is carried out using a rotating union. This temperature conditioning is state of the art and a general prerequisite for maintaining technical parameters. However, development engineers want to do more to improve the quality and reproducibility of their production results and the concept of tempering further machine components has been adopted. This is how a temperature conditioning process for the top and bottom rotors of the gear pump using an additional rotating union has been implemented. The gear pump, as such, already has benefits in terms of more equal output and constant dimensional accuracy, because a material feed just before the die (tool) is much more effective than simply feeding it over the extruder screw. Additionally, tempering the pump enables a better portioning of the rubber mixture and at the same time increases the mixture quality. While it is a matter of course that heat must be applied to the thermoplastic materials that are being extruded, there is a position in the extruder whereby cooler temperatures have an interestingly better effect: the feed roller. Cooler, more stable strands can be fed in better and can be more consistently fed into the extruder. This idea was made into reality with the use of smaller, more compact rotating unions. The results show that the entry characteristics of the material were significantly improved. This technical approach could even enable the needle or cylinder roller bearings on the feed roller to be cooled, with further potential for optimisation. Regardless of the current discussion about the “plastic planet” film, according to which our planet, by now, could be wrapped several times in plastic, packaging film will remain essential to packaging for the foreseeable future. However, the development of increasingly thinner films is encouraged among manufacturers, in order to conserve resources, yield more from the same input of raw materials and produce more in the same amount of time. These development trends have an effect on machine technology, because bigger machines are being used and/or machine speeds are being increased. During film manufacturing, the raw material is very generally stretched using rollers and stretchers to its physical limit, just before it tears. The rollers used for this process are heated using heat transfer media such as thermal oil or hot water, in order to temporarily increase the entropy within the molecular structure in the plastic. This reduces its stability and the thermoplastic deformability is used to stretch the structure. 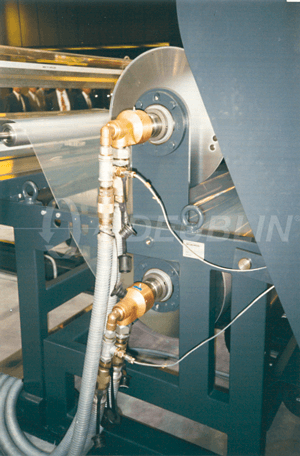 Rotating unions are used to transfer the required quantity of heat transfer medium to the roller. They function as a link between the stationary feed pipes/hoses and the rotating roller. As well as the significant volume of media flowing through the rollers each hour, there is a desire for the quality of the finished product to be maintained or improved. This can only be possible if the “machine as a whole” operates with tremendous accuracy. Therefore, this also applies to the machine components such as the rotating unions, because the operating parameters - medium, pressure, temperature and rotational speed - always affect the service life. 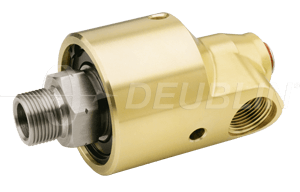 For this reason, brand manufacturers such as DEUBLIN are continuously further developing the rotating unions used in plastic machines. Consequently, there are versions with a short, compact design, monoflow and multiflow designs and rotating unions made from stainless steel. 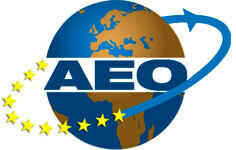 All of these products are equipped with reliable and low-wear mechanical seals as standard. Calenders and machines for coating and laminating are frequently used at very high temperatures and require special hot media rotating unions. Experience has shown that previously and, to some extent, nowadays, rotating unions were connected to the supply line using adaptors and screws. These connections are complex, time consuming and often require a great deal of exertion during installation and maintenance. Moreover, they remain extremely fault-prone, even if they are installed by experienced and qualified personnel; damage may occur at a later point as a result of earlier damage to bearings or slip rings, resulting in a reduced life span of the rotating union. It has also been demonstrated that during adaption processes, the flow area is constricted, leading to a reduced heater output and an increased loss of pressure. With the development and consequent use of an SAE flange, this problem is a thing of the past, as the connection points now have a new and simple design. Four screws, one O-ring and a flange steady take over the connection to the supply line and rotating union and an inner hexagonal key suffices as a tool for complete installation. 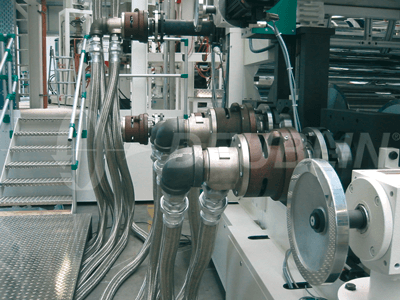 This design enables the installation and maintenance costs to be significantly reduced, as the supply lines can be connected free of tension in the shortest amount of time possible. Disassembly is also possible without the need for lots of tools, leading to less machine downtime and unequivocal cost advantages for the operator. The “tense installation” of the rotating unions is constructively avoided and the life span of the unions increases in the same way as the energy efficiency, because the pressure springs, for example, are situated outside of the medium. This is how the rollers or calender are kept constantly supplied with the correct volume flow rate to the heat transfer media by the rotating union. Loss of pressure and heat output no longer occurs. 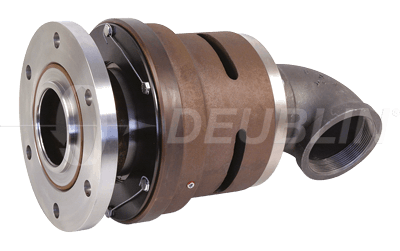 Depending on the series used, such hot media rotating unions display a stable bearing design and a secondary seal in the form of a membrane, therefore there is no relative motion at the sealing point. Moreover, for increased machine safety, versions with housing and rotor locking rings and additional snap rings can be ordered as an “emergency safety catch”. The expertise of the engineers working for machine manufacturers and manufacturers of high-quality rotating unions consequently leads to further developments and the constant discovery of new potential, with which further goals for the future can be reached. Investment in high-quality machines made of high-quality assemblies and components, designed with the most recent developments in mind, pays off in no time!